If you watch what the best golfers in the world like Luke Donald are doing at impact, you can see why the ball explodes off the club face and sails to the target. They all have really good balance, timing, and sequencing of their body on the downswing through impact. Their golf swings may look a little different but they all perform at a very high skill level / technique at impact. This is what I have learned that separates the elite players from everyone else. Skill, defined by The Practice Manual, “is the ability of a person to match their intention with their reality”. All great golfers possess high skill (short putts, lag putts, short chips, long chips, short pitches, long pitches, solid contact, squaring the club face, hitting target, etc.) level in golf. They can match their intention such as chipping and landing the ball on a particular spot on the green by performing that skill effectively so the ball ends up next to the hole. They may not have the best technique, but because of their high skill level they can pull off that type of shot they are trying to accomplish. Usually, skilled golfers possess wonderful technique because they learned it over time through effective practice. 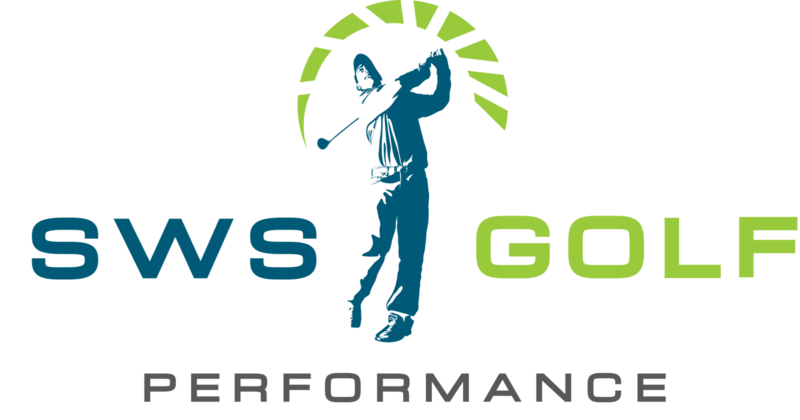 In golf, it is important to first find out what skill through assessments is costing you the most strokes on the course so you can follow the rest of the SIP FATS process for best results. The Practice Manual states that “in order to be skillful, we not only have to be able to co-ordinate what we want, but we need to be able to know exactly what we want”. Golf is difficult compared to other sports because of the equipment factor and understanding how the club works with the ball to make it match our intention (type of shot). There are many different skills that will arise on the golf course so understanding the ball flight laws will help you be confident in your idea / intention so you can pull it off. At SWS Golf Academy, we educate the fundamentals on ball flight laws (cause & effect) so our clients have a basic understanding of what they should be trying to achieve. For example, if you don’t understand that club face angle and path determine what direction the ball is going to fly, you will never be able to control it. We also refer to GRIPS Golf when the client is ready. They use the TRACKMAN to provide quantifiable numbers to track what is happening at impact so the client can make the necessary changes. Preparation is anything you do to get yourself ready to perform what you are about to achieve. It is like the dry practice run (practice swings) that gets your mind and body ready for the real thing. If you are struggling making contact with the ground right after the ball (Low Point Control), focus on making the correct contact with your practice swings by preparing yourself to make it happen when it counts. It works better to perform more practice swings during the initial stages of learning. Over time when you get your brain familiar performing the correct movement, you can limit the number of practice swings. When you put a ball down, you will want to revert back to your old habits so that is why preparation is so important as a rehearsal to getting your mind to send your body the message that the new movement is what you want. Feedback is used to see if where your awareness and focus is based on what you are trying to achieve. The main forms of feedback that The Practice Manual discusses are: 1. Where the club strikes the ground (divot position) 2. Where the ball strikes the club face (using dry erase marker) 3. The clubface and path relationship – Looking at the ball flight to see where the ball starts to determine the clubface at impact and the curvature to determine the swing path. At our Academy we also use video analysis for feedback of the body motion and we refer to GRIPS Golf who use the TRACKMAN that provides quantifiable numbers of path to clubface angle relationship as well as angle of approach and club / ball speed. It is important to have a basic understanding of why the ball reacts off the golf club by getting the correct feedback first. Attention is the location of the player’s focus (internal, external process, external result). Focus is the level of concentration you have on your attention. An example would be a golfer working on keeping their right foot from lifting off the ground during the downswing (Internal Focus). We could measure their focus on a scale from 1-10 whether they shifted their focus to the target (external result) or if they focused all of their attention on the correct foot movement during the swing. When first making a swing change whether it is internal or external, it is important to practice focusing all your attention on the change until it becomes familiar and the skill / intention is naturally produced. Technique is the movement pattern that you are using such as shoulder plane, weight shift, releasing the hands and club through impact, etc. Their are hundreds of books written on this topic and the argument that Adam Young and I have with these method instructors that primarily focus on technique is the elite golfers all have different technique but still achieve successful impact positions. Since I have started implementing the SIP-FATS learning process, I have gotten faster results from my clients. Technique is a necessary part of the process but it shouldn’t be the only area to focus on improving. Implementing other elements of SIP-FATS can often allow technique / skill to improve naturally. Technique should be a supplement to help you get your desired impact. The Practice Manual states that “your subconscious concept is the way your brain currently wishes to strike the ball”. An example of this is the golfer who makes contact near the top of the ball (loss of posture) at impact when the ball is in front of them. They take wonderful practice swings (preparation) but as soon they swing at the ball, they revert back to their old swing that tries to help the ball up in the air causing loss of posture and poor contact. This happens because the attention and focus shifts, and the subconscious concept comes out. When this happens, it is pointless to teach technique because this golfer already demonstrates from their practice swing they have the desired technique. The focus needs to be on transferring that technique to the golf ball. This is done by making sure the golfer’s attention is on the correct idea, increasing amount of focus on this attention, and using feedback to improve their focus. It is amazing how much our focus and thought processes effect our performance in golf. I do believe that over 90% of poor golf shots can be blamed on the mind and where the focus lies unless the body is causing major over-compensations during the swing resulting in poor impact position. Once the mind and body is on the same page from following the SIP-FATS process and the body is capable of producing the desired skill, the golfer will perform their best.